The reception area is the first place guests see when walking into a business and can make either a good or bad impression on them. To make an especially welcoming reception area, decorate it with comfortable and cozy chairs for all to relax in while waiting for appointments or meetings. This means investing in furniture that seats tall and large people, too. Here are a couple of reasons why placing bariatric chairs in reception rooms may be a good idea. Appropriately-sized furniture helps people feel at ease. They support their weight and offer enough wiggle room to move around freely. The workspace or office can be stressful enough, and investing in comfortable chairs ensures everyone feels supported and stress-free. Knowing comfortable chairs are available may be the key to making office visits more pleasant and enjoyable. Bariatric chairs are built to comfortably support people weighing up to 500 pounds and even more in some cases. For the budget-conscious, our Extra Wide SteelWorks Black Leather Guest Chair seats those weighing 400 pounds or less at an economical price. It’s built with a steel tube framework with three tube cross braces supporting a plywood seat. The result is a chair that’s solid yet comfortable and especially long-lasting. This chair can withstand both heavy and frequent use while still providing the support and comfort everyone seeks. Bariatric chairs and large reception seating can be designed to offer a luxurious feel and look. Many of our seating options are upholstered with upgraded vinyls, making them smooth and easy to clean. Our modern reception lounges feature clean lines and shiny chrome accents that make any reception area feel new and clean. These lounges are a great alternative to more simple waiting chairs and provide plenty of room for people of all sizes. 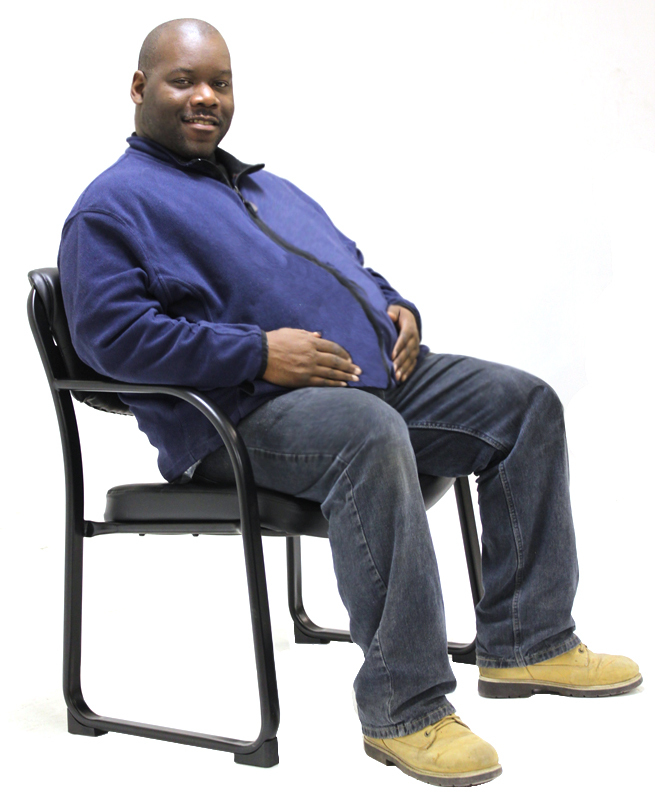 Bariatric chairs and lounges are a great go-to option for a variety of settings. 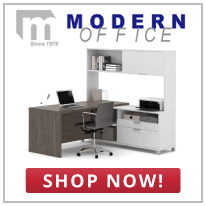 Whether you’re decorating a doctor’s office, a hospital, or bank, you can count on Modern Office to provide the appropriate bariatric chairs for each unique waiting area. The result will be an inviting room that accommodates all individuals with comfortable and chic seating options.